This isn’t a traditional list of tourist attractions. 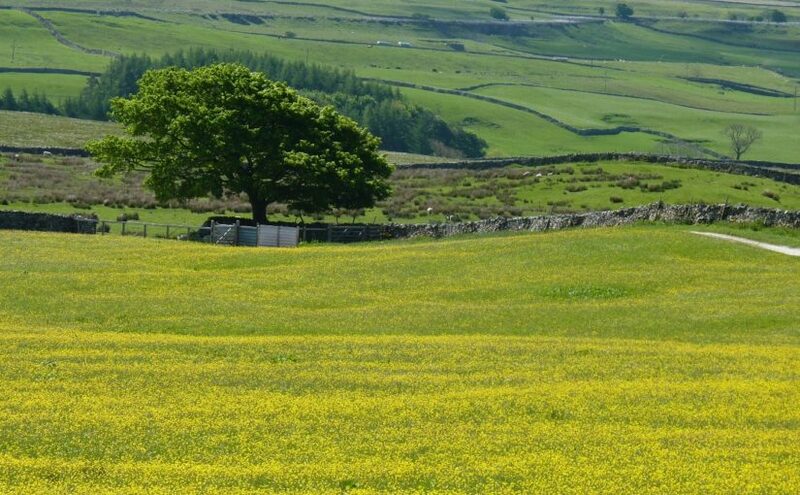 There are plenty of places to visit in the Yorkshire Dales but my favourite holiday memories are of walks, views and rural life. 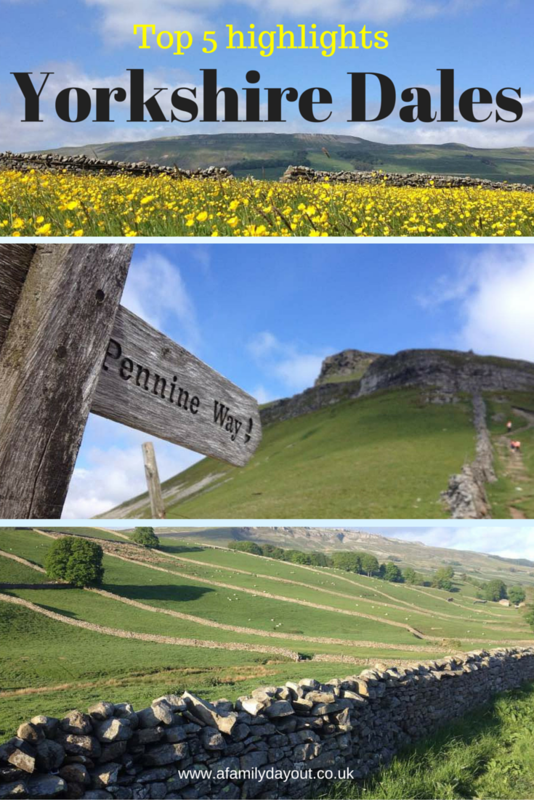 So what do I love about the Yorkshire Dales? My camera roll confirms I was obsessed with photographing barns on holiday. 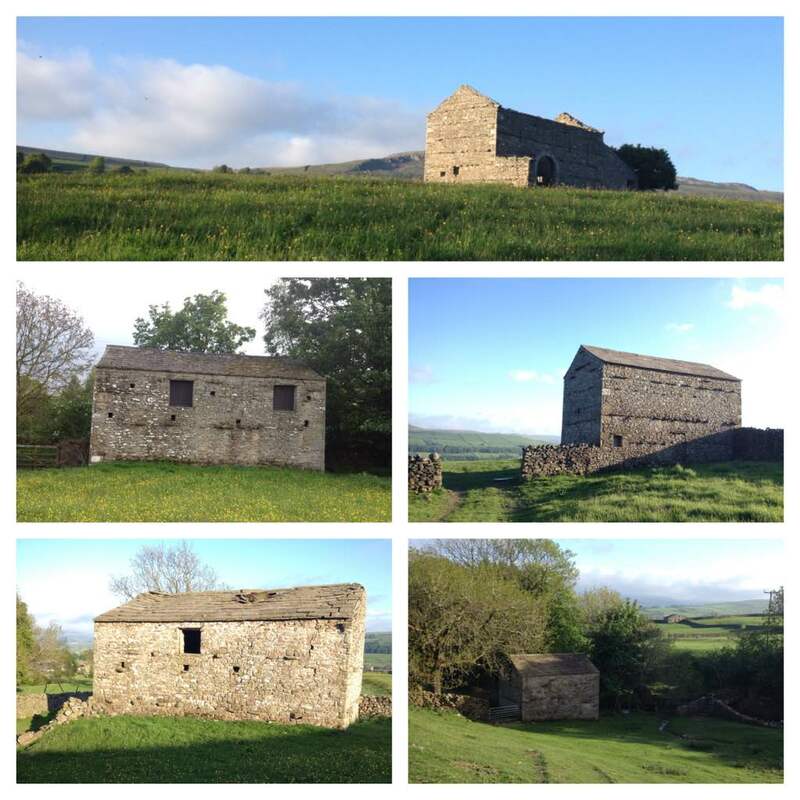 Although with around 6000 field barns in the Yorkshire Dales I still have quite a few to find! The barns were built in meadows around 200 years ago to store hay and house cattle over the winter months. The freezing winters have taken their toll on many of them but for every barn without a roof there’s another one that’s still in use. 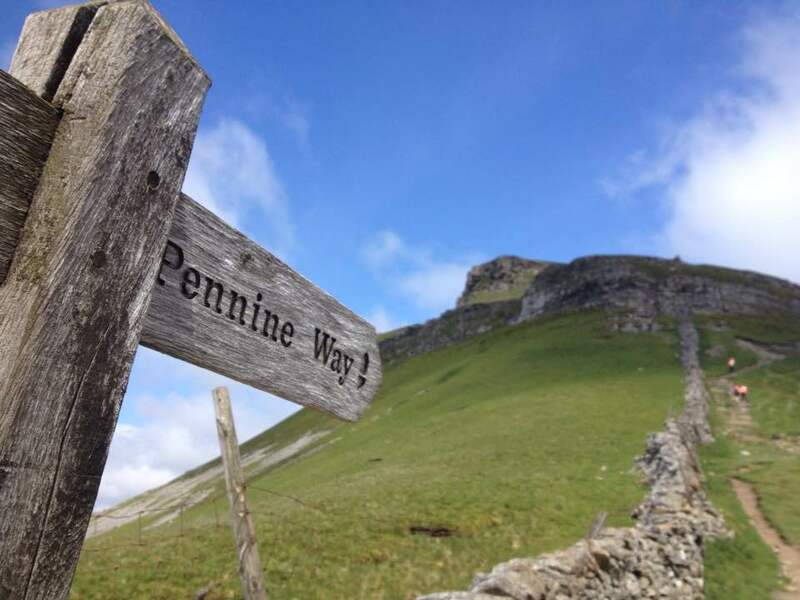 The Yorkshire Three Peaks walk is a 26 mile route which combines ascents of three hills – Pen-y-Ghent, Ingleborough and Whernside. 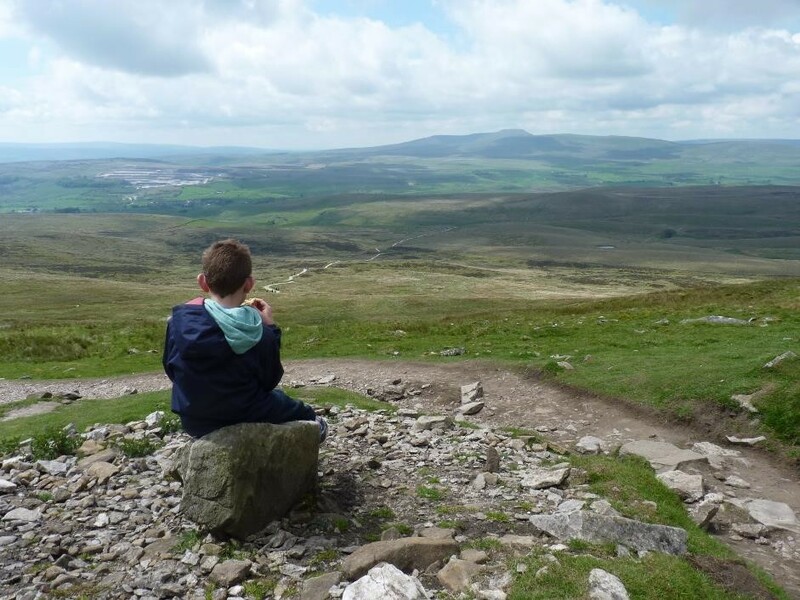 We opted for the easier option and split the hills across three separate days; pop over here to read more about our Yorkshire Three Peaks walks with the children. With the exception of one very short easy scrambly section up Pen-y-Ghent all are straightforward hill walks in summer conditions. 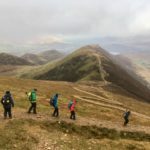 From the summits we spotted the sea, the distant peaks of the Lake District and other local hills. Of course there are plenty of less-frequented hills to climb in the Yorkshire Dales, including the distinctive flat topped Addleborough; definitely one I’d like to tackle one day. Thanks to the presence of limestone the Yorkshire Dales is famous for its waterfalls. 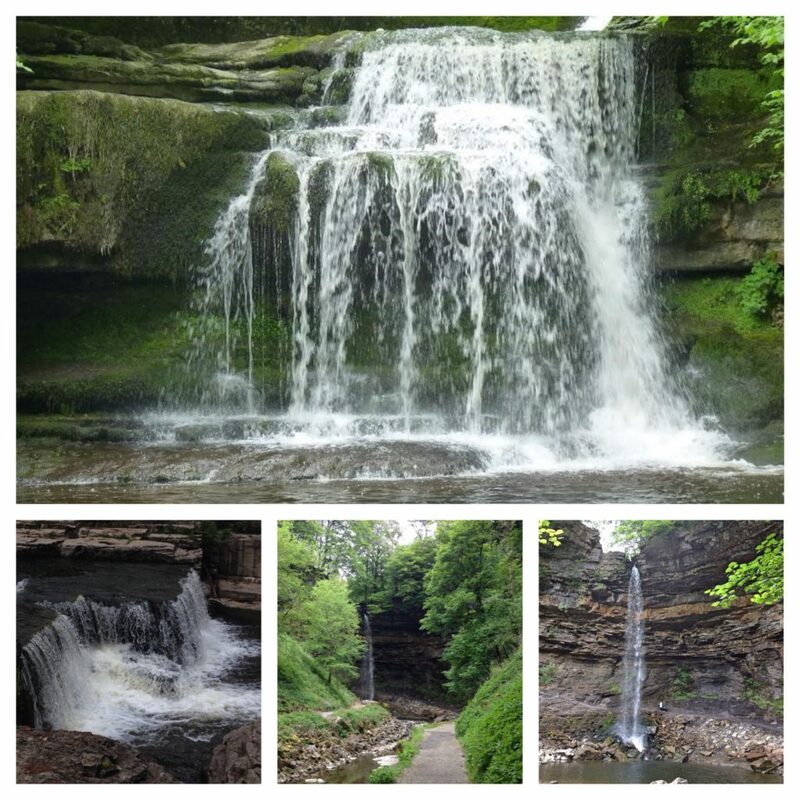 The Ingleton waterfalls and triple set of falls at Aysgarth are probably the most well known. Plus there’s Britain’s highest single drop (above ground) waterfall at Hardraw Force, the beautiful West Burton falls and Mill Gill Force near Askrigg. But take a look at an OS map and you’ll see waterfalls marked along almost every stretch of river. The best time to visit is after heavy rain. It was sunny during our trip (I’m not complaining) but the waterfalls were still impressive. If you’re visiting over May or August Bank Holiday weekends and are feeling adventurous you might even like to visit the waterfall at Gaping Gill. Together with the field barns the dry stone walls symbolise hill farming in the Dales. 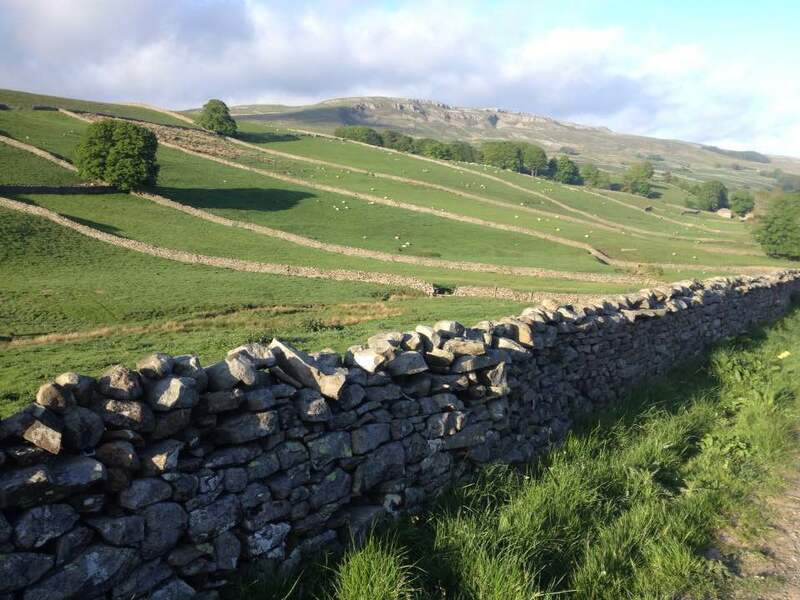 There are over 5000 miles of walls throughout the Yorkshire Dales, marking field boundaries and keeping in livestock. Some of my favourite walls are high in the hills. I was intrigued by the wall heading up near the summit of Pen-y-Ghent and again along the summit ridge on Whernside. I can only imagine the effort it must have taken to build them. 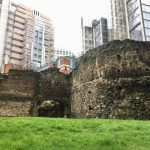 With so many walls there are also plenty of stiles. In Wensleydale these are often narrow slits in the walls combined with heavy spring gates. The local sheep are obviously great escape artists! 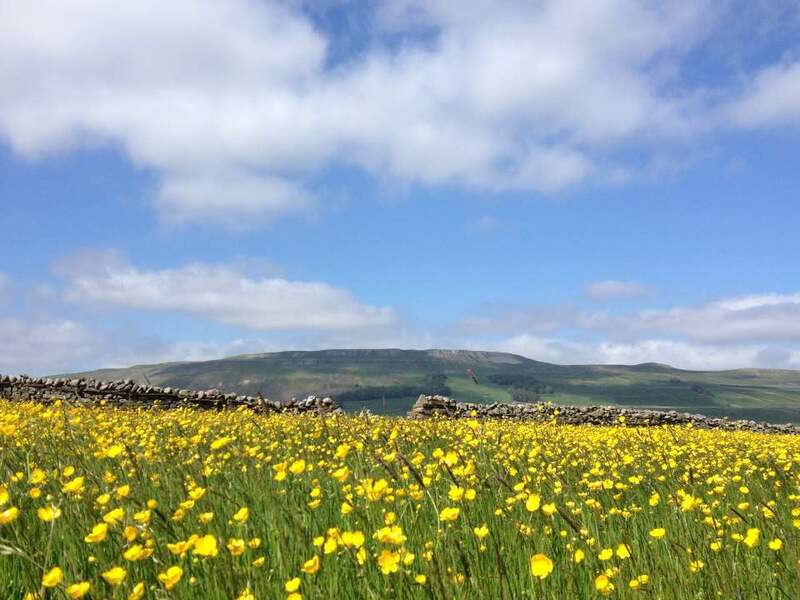 Visit the Yorkshire Dales in early summer and you’ll be treated to hay meadows full of buttercups, daisies and red clover. The buttercups form a swathe of yellow, brightening up the fields and helping to encourage other wildlife. As you might imagine, along with field barn photos I have a lot of flower meadow photos too! Have you been to the Yorkshire Dales? If so, what are your favourite places? 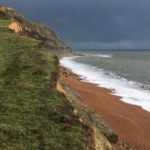 Feels like watching Escape to the Country (which is always enjoyable for me – except for the bit that no one ever actually buys any of the awesome places!) Especially loved the last photo 🙂 Thanks for sharing! I grew up going to the Yorkshire Dales, and love all these things about them. My favourite waterfall has to be Janet’s Foss near Malham. Hi Christine, I have never been to the Yorkshire Dales (or Yorkshire), but it looks like a place I would love to explore with camera in hand. The old barns are particularly photogenic, especially against the blue skies with the fluffy clouds. From the hills and waterfalls to the flowers and dry stone walls (the ones here fascinate me) I would love it and can see why you do too. Wonderful highlights. Hope to visit the Yorkshire Dales during my next visit to England. It’s a while since I’ve actually visited the Yorkshire Dales – we spent a week on the coast a couple of years ago but most of my memories of the hills and waterfalls are from when I was younger. We drive through the county a lot to visit my family in Newcastle – must remember to stop next time! This is a part of the country I hope I’m able to visit in the future – the landscape looks stunning. I love how you’ve compiled your list with unique nooks and crannies as opposed to full on attractions. Thanks for sharing this beautiful photographs! I love each of the items you chose to list. They are exactly the ones that I’d fill my camera’s memory card with. What a nice list. I love your images of field barns. All those barns! So beautiful, and well-built. And the stone walls too – a lot of craftsmanship has gone into taming the area. Not too tame, though! I don’t know the Yorkshire Dales – I’ll have to pay them a visit when we’re next with the in-laws in Harrogate. 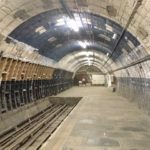 Great perspective on the Pennine hill photography. The sign certainly leads the eye. I’ve never been there but it looks amazing!! All of them are great reason to love this place. 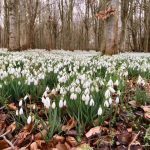 Your pictures are lovely 😀 Great post!